BB-8 rolls into action! 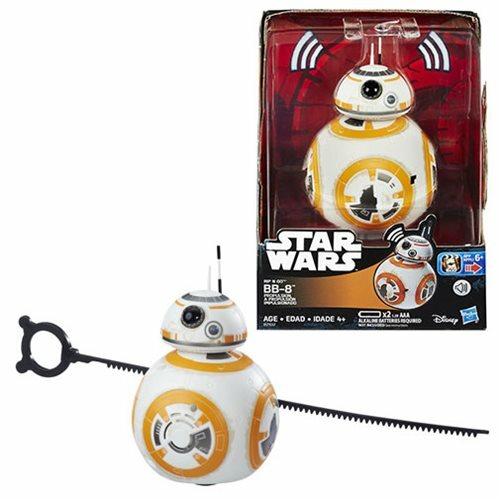 With the Rip N Go B-B8 droid toy, it’s easy to imagine the intergalactic adventures of the expressive ball droid and loyal friend to the Resistance from The Force Awakens! Just set BB-8 down on a flat surface, pull the ripcord, and watch BB-8 take off into total Star Wars action! When BB-8 zooms into action, listen for unique droid sound effects! BB-8 measures approximately 4 1/2-inches tall. Ages 4 and up.